These are a selection of Skateboard Decks we have in stock. We can get many other decks in on special order if you are after anything in particular please contact us. Generally we have loads more skate decks in store at our ATBShop Skate Warehouse but because decks come in and out so fast the site is not always up to date with the latest skate brands and sizes. The Joey Guevara No Evil Deck from Alien Workshop is an 8in wide deck. 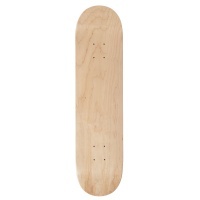 Boasting a medium concave and kick, this is a perfect board for both street and park. 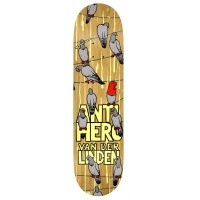 This medium concave deck from Anti Hero is a beautiful shape. With a fairly strong pop and kick, the Pigeon Post Conference Call Deck is spot on for all etiquette's. This Brian Anderson sig cruiser deck is one of the nicest looking wood finish decks we have seen, maple construction and 9.25 it's perfect for cruising bowls. This is a package of Griptape, Bearings and bolts to make a complete skateboard. 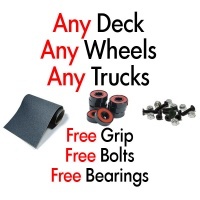 Buy it with any deck, trucks and wheels to get everything else for you setup free included. 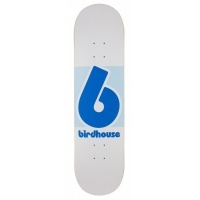 From Pro Skaters Tony Hawk and Per Welinder, this lightweight Birdhouse Block Deck in Blue White is spot on. The riders choice and its clear to see why. 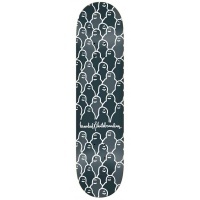 From Pro Skaters Tony Hawk and Per Welinder, this lightweight Birdhouse Team Deck Blur Logo is spot on. The riders choice and its clear to see why. Birdhouse has dropped a new range of incredible decks. Tony Hawk needs no introduction... Shred like Tony on this pro Hawk skateboard. The Stacked deck from birdhouse is perfect for a beginner or for someone who prefers a smaller deck. With the sweet logo and cityscape design. This Super Limited Edition skateboard deck from Creature is a run of 110 decks. 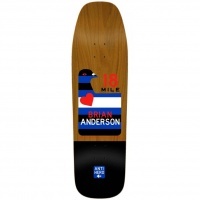 Whilst this is a Stu Graham pro deck measuring 8.8in X 32.5in, it is all for his daughter. 8.8 inches of pure skate pleasure, your prayers are answered with this Chunky boxed designed Skateboard deck from creature. Definitely a different board feel. 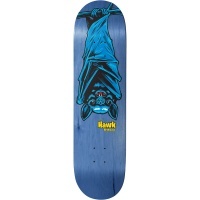 Sitting at 8.0in Wide and 31.5in Long this is a great board for the flip tricks. Not too big, but not too small. Spot on! 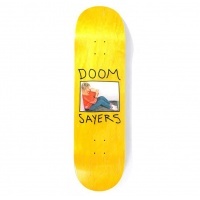 Becky's back with a banger, Doomsayers are killing it with their graphics and we love it. Just look at this Canadian maple 7-ply construction. Absolute beaut. Returning with a Bam, Element celebrates their 25th anniversary collaborating with Bam Margeras release of 100 of his most popular decks. This flip deck lands into us at such an unbelievable price its almost too good to be true, but this cold pressed, 100% Canadian Maple Deck is no word of a lie. This 20 years of Flip Skateboards deck is an incredible colab with the most famous pair of space cadets to grace our tv sets. 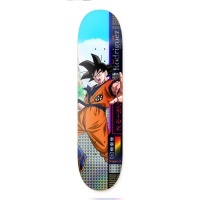 If this isnt enough, its also Tom Pennys' Pro Deck. Frog is another great new brand to ATBShop, but its no new contender to the skating world. Fast established and hugely anticipated as one of the top skate brands of 2019. Part of the Sanctuary Series by Eric 'Gordy' Gorvin, this board is one of the best looking decks we've seen through the store in a while. Sitting at 8.0in wide. 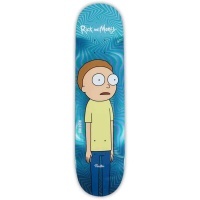 All you treckies and TV addicts, don't mean to brag don't mean to being static... but you need this in your life, whether to skate, or hang on the wall. 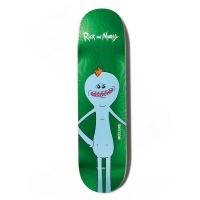 This board is SIIICK. 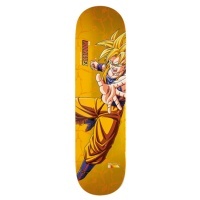 Isle Skateboards brings us this Pro Deck with some incredible graphics. 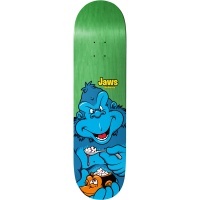 An 8.125in Deck with a mellow concave and a large nose. A good amount of pop and a nice kick tail. 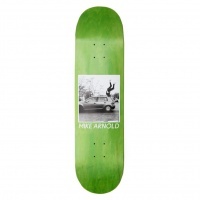 Isle with the Mike Arnold Roadman deck, Box picture simpleness with a Green Stained outer this board is simply great and the picture is hilarious. This board was made on 7 plies of the best hard rock maple, in a low concave shape and pressed on by one with the 2XS formula glue. Great pop and durability. The Krouded 2 Decks from Krooked delivers classic shape, classic concave, and a classic ride. A hell of a lot of deck for your money here. Ride Krooked! Glen Fox has been on the Magenta team since May 2015. One of the sickest, understated riders out there. Magenta make some beautiful planks, from the graphics to the feel. Chris Cole has to be one of the gnarliest street riders in the skate scene. 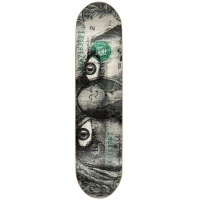 This 8.25in Street deck is no exception. Boasting the ProSpec meaning this deck is lighter thinner and stronger. 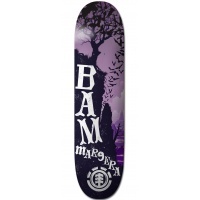 The ripper deck features what we would consider to be one of the greatest and most iconic graphics in the skate world. 7 ply maple construction. 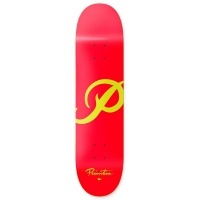 The Primitive Classic P 8.125in Skateboard Deck 7 ply features the P logo. Top-notch workmanship, as we are accustomed by Primitive, guarantees a brilliant ride. 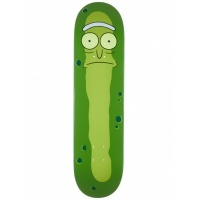 This new drop from Primitive features the second load of Rick and Morty Colab. 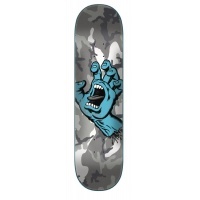 This deck is the Primitive Team deck with some rad graphics to match. 8.0in Wide. 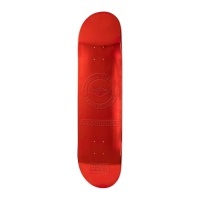 You are going to look the real deal on this Primitive Red Foil 8.0in Skate Deck. 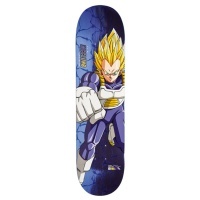 Catch peoples attention with a blinding flash as this deck flips around. All eyes will be on you! Dan Mancina is a skater from Detroit, Mi. He lost his eyesight at the age of 23 due to Retinitis Pigmentosa. His aim is to promote adapting skating for the visually impaired. 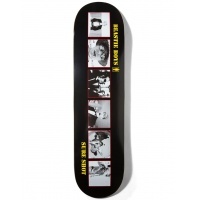 Tear up the park on this Real Deeds Elite Pro Skate Deck in 8.25in. 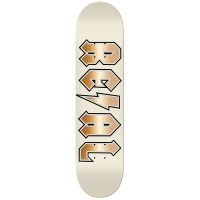 Real Skateboards have brought to us this awesome ACDC inspired deck, and now we bring this to you. Huf x Real Skateboards Hydrant deck, 8.25" in width and 32.2" in length this deck is one poppy piece of goodness and with the classic Real hydrant logo on the bottom. 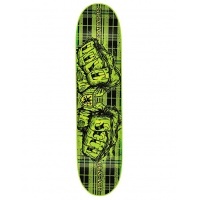 This Renewal Remix PP Deck from Real Skateboards in bright yellow kinda looks a bit like a tennis ball. 8.5in wide is ideal for larger or old school riders looking for a familiar setup. 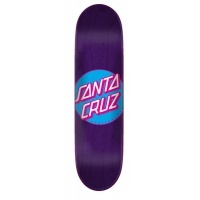 It doesn't get much better than a quality Santa Cruz deck. They've been producing some of the best boards in skateboarding since 1973. This deck is no exception. Huge kicktail. 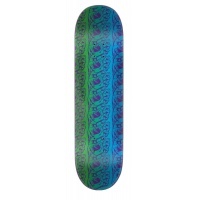 This classic dot logo deck is 8.5in wide in the popsicle edges, but has slightly more narrow nose and tail. Specifically designed for technical street skaters. They have finally arrived! 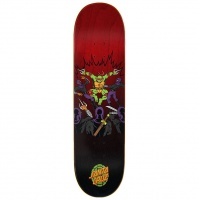 The long awaited Raphael Teenage Mutant Ninja Turtles skateboard deck from Santa Cruz. We have extremely limited stock so if you want it, grab it while you can. 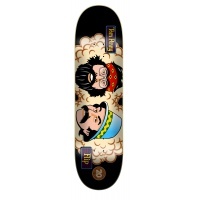 The Pimpsons series from Sk8Mafia is a brilliant line of graphics on some fantastic wood. 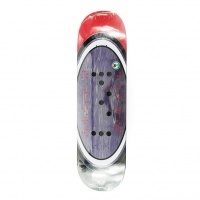 The Larelle Gray pro deck is 8.25in and ideal for a range of riding. 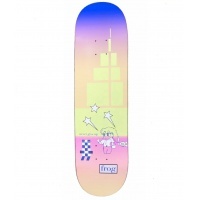 The Pimpsons series from Sk8Mafia is a brilliant line of graphics on some fantastic wood. 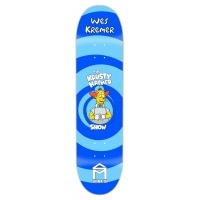 The Wes Kremer pro deck is 8.25in and ideal for a range of riding. Skate mental is a Californian based brand boasting roots from incredible parks and streets. Dan Plunkett, one of SM team riders, best known for DIY spots and street. 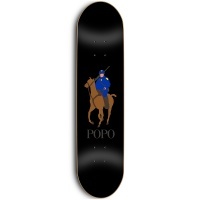 This 8.25 Deck from Skate Mental is a one off graphic featuring the 'Popo' on horseback. 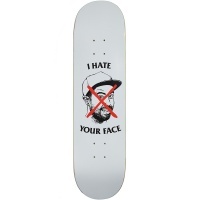 The Staba - I Hate Your Face deck is a 100% Canadian Maple veneer pressed together and cut into a shape. Built and designed by professionals for the world. 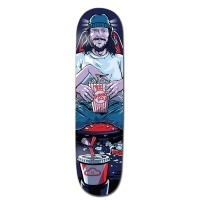 Thank You have brought to us this incredible deck featuring Torey Pudwill. A special thank you, as we put it, with clever placement of popcorn, and a cheeky show girls ticket on the floor. 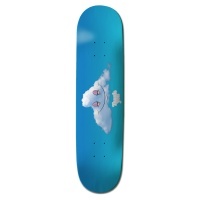 Thank You have brought to us this incredible deck featuring the Head in the Clouds graphic on a 2 tone sky blue background. Thank You have brought to us this incredible deck featuring a plain blue backing, and the Thank You logo stamped in white and red, really making the logo pop. 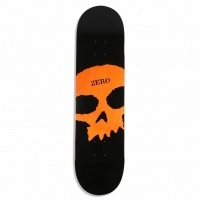 Zero have always pulled out the stops to create some awesome decks at a great price. 7 plys of Hard Rock Maple make sure this deck is lightweight, poppy and strong. 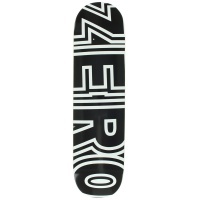 This 7 ply Canadian Maple Hybrid deck from Zero Skateboards is an awesomely light and poppy deck. Canadian Maple delivers slightly more flex then Hard Rock. From Pro Skaters Tony Hawk and Per Welinder, this lightweight Birdhouse Block Deck in Grey White is spot on. The riders choice and its clear to see why. Aaron Jaws Homoki needs no introduction as one of the gnarliest street skaters going. This 8.25 deck is what you need to slay that stair set you've been eying up. Death is a UK brand creating affordable but high quality decks. A range of sizes are available. The wood itself is very poppy and the graphic heat transfered. Boo Johnson once again providing the goods from DGK. This graphic is almost too good to skate... but none the less this is an insane 8.10in deck to ride. 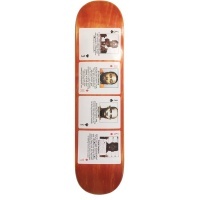 A simple, quality deck, from Enuff. Saving money on graphics and focusing on what matters, this is a cheap board that boasts high standards. 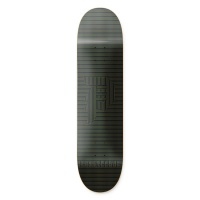 The odyssey logo deck from flip lands in black in a 8.25in. Ideal for all styles of skating from street to park and inbetween. 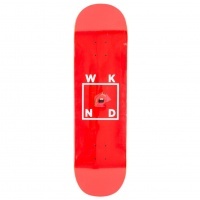 The odyssey logo deck from flip lands in red in a 8.0in. Ideal for all styles of skating from street to park and inbetween. Rapper Mugshots from Hotel Blue is a wicked new addition and brand into ATBShop. A new brand from an existing skate videographer started in 2016 in NYC. 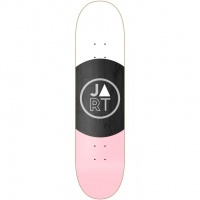 Take your skating to the next level with the Jart Moet Deck in 8.125. 7 Ply maple and low concave combine with the width to suit almost any rider. 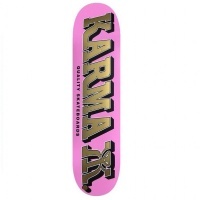 Karma have produced another incredible graphic for this Kizzla board. With a stunning pink graphic, this is one hella loud board. spot on! 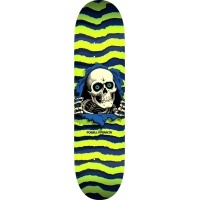 The long awaited, insane deck from Powell Peralta, is a real head turner. 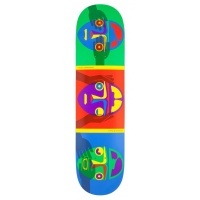 One of, if not the best, decks on the market. This is one of the strongest, lightest and thinest decks going. This mind boggling, trippy graphic turns heads as you tear up that stairset you've been eyeballing for months. This 8in mellow Canadian Maple deck is not one to miss. 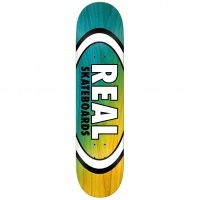 Since 1990 Real Skateboards have been making decks with quality their highest priority. With a big list of sick pro riders you can always be assured of a quality deck with Real. This 7 ply Canadian Maple deck from Santa Cruz sits at a beautiful 8.5in wide and features wider tips boasting maximum balance, control and stability. 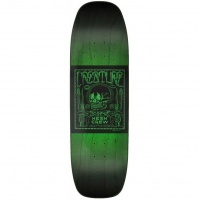 Ride in style on this Santa Cruz Screaming Hand Repeat Deck in 7.75in. 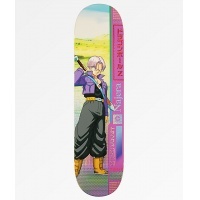 This deck is ideal for those wanting a smaller deck or the slightly youngers riders. Spread the stoke and love for the Lips on this deck all around the world. 8.0in Wide gives you an ideal footplate locked in with a fairly mellow concave.